Hidden Valley Country Club is the premiere private, Country Club nestled in the Blue Ridge Mountains in the heart of the Roanoke Valley. Hidden Valley is a full-service Club dedicated to providing members and their guests with the finest facility in the Roanoke/Salem area. The Golf Course is consistently the best conditioned course in the valley. Our fairways are dark green and tournament striped all the way through spring, summer and fall. In 2006, we completed a major green renovation project and hired the Greenbrier’s course superintendent, Sean Baskette, to ensure our greens have the speed and the condition to be considered the best in Roanoke. Don’t miss this unique opportunity to play this private golf course. This year’s VEDA Golf Tournament will use a Captain’s Choice Format. ATTENTION GOLFERS The VEDA Golf Committee would like to encourage members to enter this year’s golf outing as a team. The Golf Committee is reaching out to potential team captains to form an d enter teams. If you are interested in forming a team and need help identifying players or are interested in playing on a team, please contact John Loftus (804-545-5786, jloftus@yesvirginia.org). Anyone wishing to donate raffle prizes to the tournament should contact Deborah Flippo (540-552-0444, dflippo@daa.com). *Please note that when registering you must provide a handicap for each player so the committee may adequately rank the teams for scoring, no later than Friday, August 30, 2018. 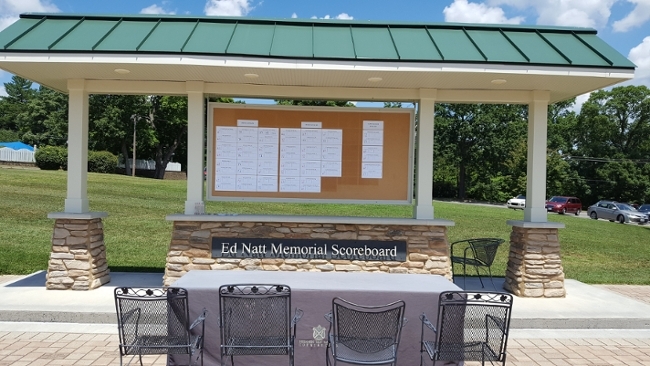 Price includes round of golf on the Hidden Valley Country Club Course; cart; driving range access prior to shotgun start; lunch, drinks and prizes for top teams. Billing Point of Contact will be invoiced after registration closes.